The Cleveland Cavaliers welcome in the Atlanta Hawks on Sunday to the Quicken Loans Arena in the home opener for the defending Eastern Conference champions. With LeBron James gone to the Los Angeles Lakers as a free agent, the Cavaliers face an uncertain future with no one expecting Cleveland to return to the NBA Finals for a fifth consecutive season. The Cavaliers have struggled out the gate in the new campaign losing both of their first two road games to the Toronto Raptors and the Minnesota Timberwolves. Atlanta could well be the worst team in the league, certainly in the Eastern Conference, and a loss to the Hawks would set off all kinds of warning bells for Cleveland even just three games into the season. The Hawks are 4.00 to win on Sunday with the Cavaliers 1.26. While the Cavaliers are not the team they once were, that's not the case for the Golden State Warriors. 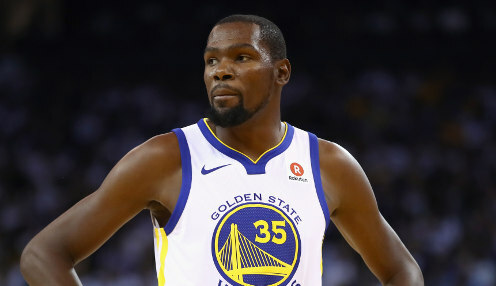 Winners of three of the last four NBA Final Series, the Warriors have taken both of their first two games although not without struggle over the Oklahoma City Thunder and the Utah Jazz. Kevin Durant led the way for Golden State with 38 points with Stephen Curry dropping in 31 for the Warriors. However it was former Utah player Jonas Jerebko who tipped in the winner on Friday evening in Salt Lake City as Golden State came away with a 124-123 win. It's now on to the Pepsi Center in Denver to face the Nuggets on Sunday before the Warriors return home for games against the Phoenix Suns and the Washington Wizards. The Warriors are 1.33 to win the Western Conference title this season with the LA Lakers 4500.00 and the Houston Rockets 4.50.